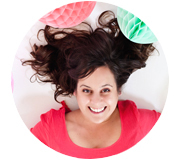 There’s nothing that I love more that fun, smile producing party food. From piñata cakes to bunny cinnamon rolls – food with a pun makes every party more fun! ;) These easy to make gummy candy sushi treats are the perfect party food to make everyone around swim with joy. 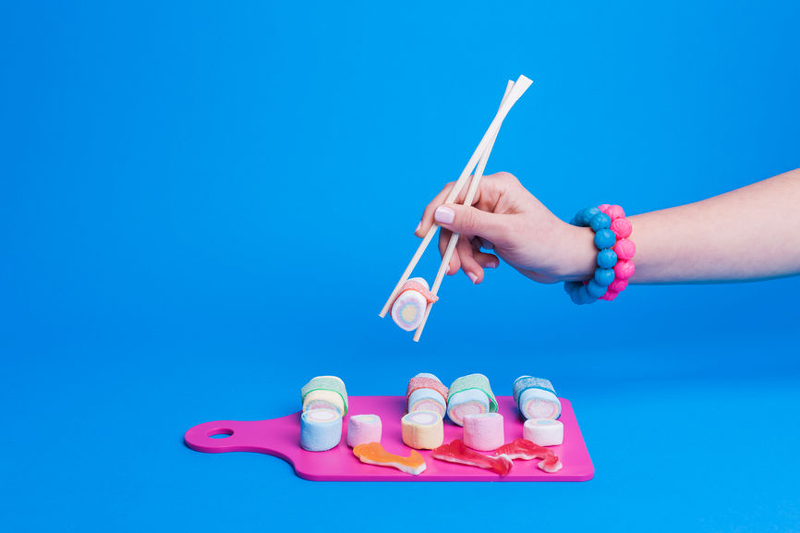 Serving up the candy sushi on small cutting boards with legit chopsticks will make a party come together quickly. I love the idea of having each place setting set up with a similar style, or set one long sushi board across the table (like this), but with candy instead obviously. Another fun party idea is to purchase cute little to-go boxes and send home the candy sushi as party favors at the end of the night. Here’s a set of the chopsticks and boxes to complete the look. These would also make such a fun April Fool’s Day prank for the kids to create that the entire family would get a kick out of. Really anyway you serve up the sweet sushi is a win. I love the creative idea of serving fish gummy candy along with the candy sushi, it really pulls it all together. This crazy easy recipe (can you even call it that?) will allow the “meal” to be served up in under 10 minutes flat. 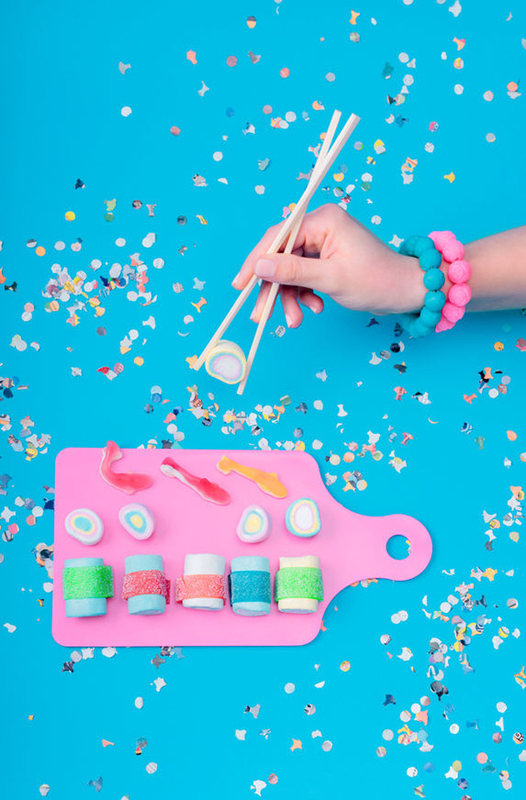 There are a lot of ideas for creating this type of candy sushi online and these colorful photos by Luca Pierro showcase what I think is the easiest way to create this really fun concept for a party. Creating the sushi belts out of many different colors and using the marshmallow twists gives the look of some of the more time consuming recipes I’ve seen in a SUPER easy way. So easy, the kids can even help to create the recipe. The easiest recipe for making gummy candy sushi for your next party. Cut the marshmallow ropes into small pieces. 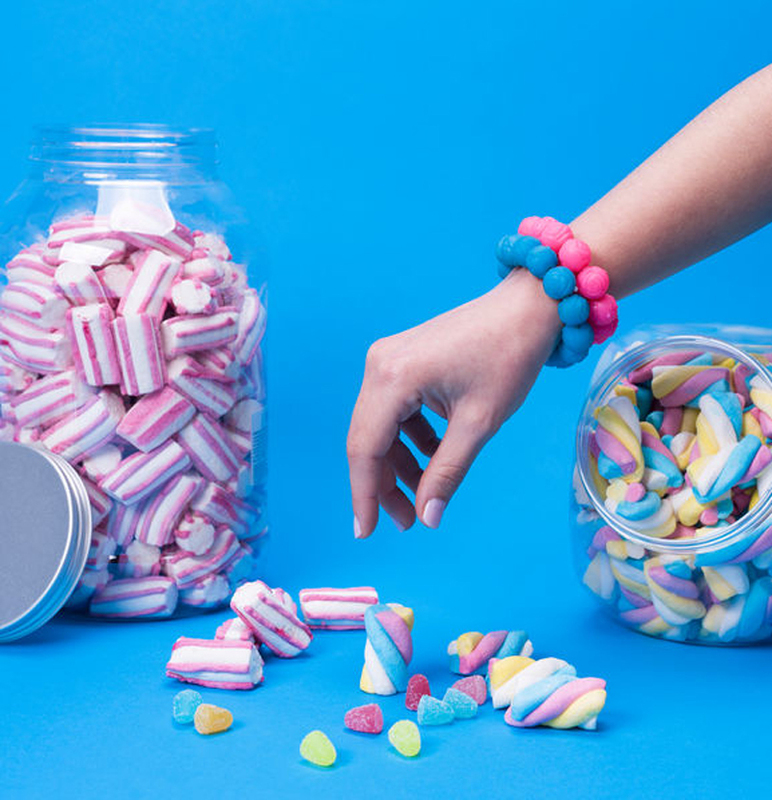 Cover the cut marshmallow pieces with the dour candy belts. Leave a few filled marshmallow candies, open facing up on the board. 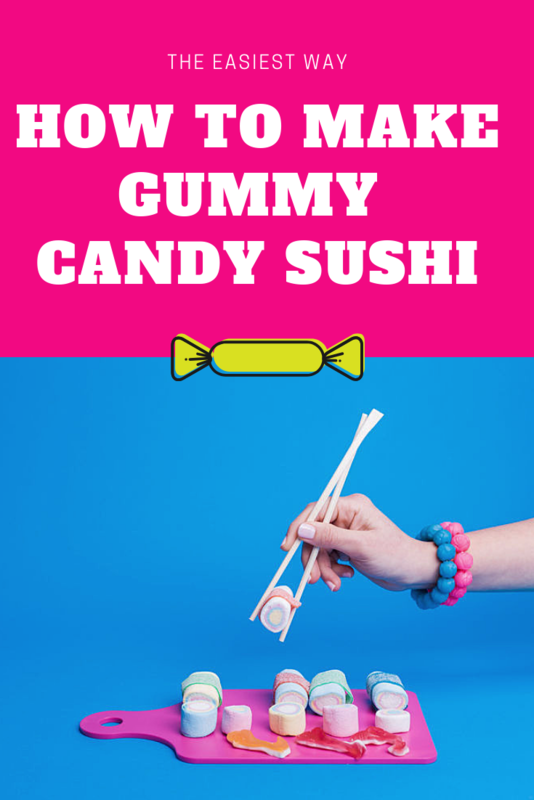 Surround the newly made candy sushi with fish gummy candy to complete the look. Now it’s just time to hide the forks and let everyone try their hands at chopsticks. Use these gummy candy sushi as a jumping off point to create an entire party around, I know it would easily fit into our 10 year old party ideas. I mean what kid wouldn’t see sushi on the table and be thrilled to find out it was actually marshmallows and gummies instead. (Photography for this post by Luca Pierro/Stocksy).